This sounds more like a block buster movie than harvest time, earthquakes with torrential downpours, interrupted by the putter patter of hail on the winery. All in the space of three weeks of harvest 2011. They (I) say that great wine is made in the vineyard, well this year might just be the case where wine makers play a more interventionist role, and I thought this year was going to be easy! To date we have harvested all of out whites, with similar parameters of lower than normal sugars, high acids and incidents of botrytis (a fungal disease that thrives in conditions such as these). What is a winemaker to do? Well firstly you google everything there is to know about winemaking, re-acquaint yourself with every known additive and tool that might help you and convince yourself that everything will be alright. (Stephen, everything will be okay). 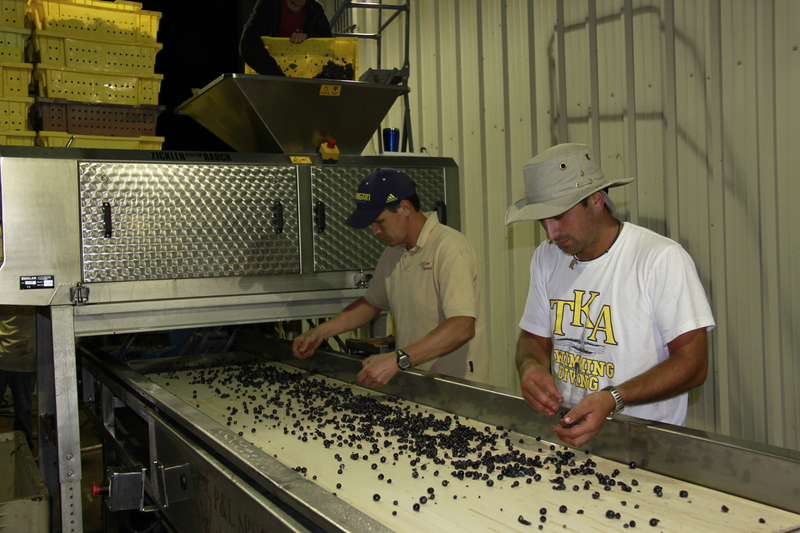 Your first line of defense is a rigorous sorting of fruit which in our case has meant dropping unwanted clusters on to the ground, followed by another quick sort prior to the fruit entering the press. Pressing has been done as gently as possible with the first and last fractions discarded to ensure we only get the best quality juice. Sulfur to keep unwanted microbes in check, acid to lower the ph and pectolytic enzymes to clean the juice quickly followed by racking off the solids. Sounds easy? Throw the fact that three of us are picking up, sorting and processing and all of a sudden it gets interesting. Fermentations were initiated using a variety if yeast strains and all of a sudden aromas of banana and pineapple are filling the winery. Hang on a moment, did I not say the fruit was in less than perfect condition? Yeah, but wines have a funny way of bouncing back, so much so that my boss thinks I must have switched the wines. The forecast is not looking too good over the next few days! Yup more rain. Rain and lack of sunshine, retards ripening and ensures a larger than wanted berry weight. In the case of our reds, smaller berries will ensure more concentrated flavors, deeper colors and thus better wines which means some down time and lots of prayers for sunshine and warmer weather. Mother nature, if you are reading this I am begging you for better weather, only a duck could love this amount of rain. 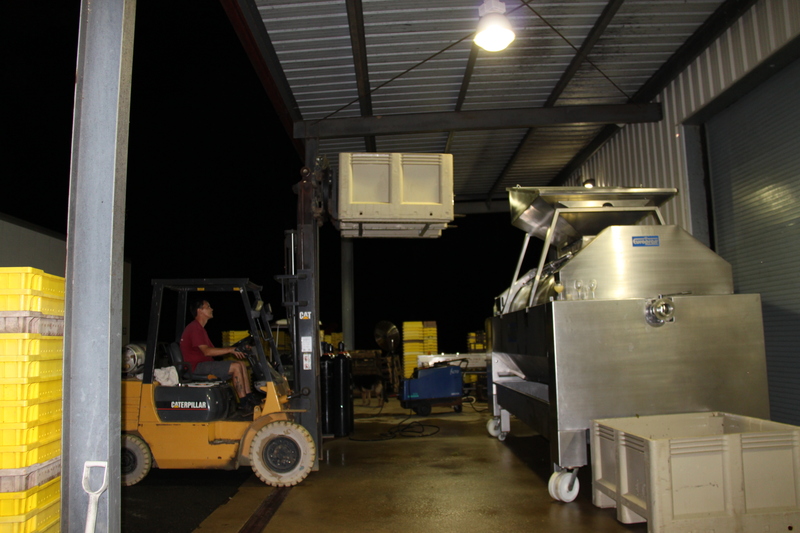 As with whites, strict sorting is the first step in making reds this year. I have just been reminded of how slow sorting is after two days cleaning up the Touriga, 17 hours to sort through 15 palettes of fruit. 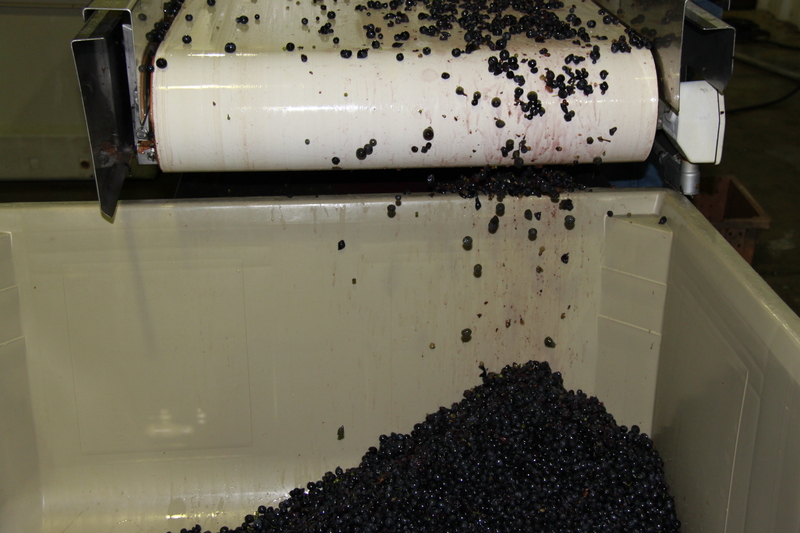 If there was any doubt of the advantages of sorting, pre and post samples showed an increase of 1.5 brix with noticeable cleaner fruit entering the tank. Signs point to a very decent red and with quality reds still to come in, harvest 2011 will still produce some gems of a wine, albeit with a bit more work on the wine makers part. If I talk of non-interventionist winemaking when describing these wines, I am full of it. Intervention is rampant, even though this is not the path normally followed. This message is one of hope my fellow lovers of Virginia wine. Mother nature is displaying all her fury and it is indeed awesome, but there are a select few who despite all obstacles, trials and tribulations will be successful in producing damn fine wines. They are called wine makers and their worth in this vintage will be easily seen. Sounds like I just made my case for a raise.